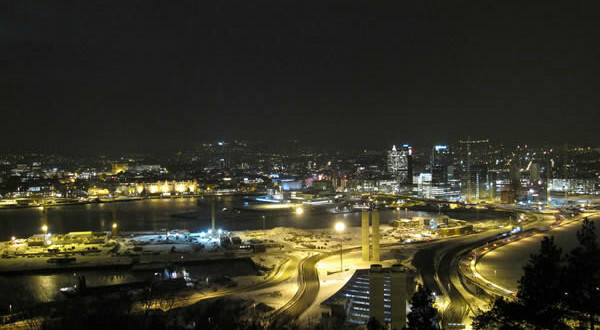 Oslo – Norway’s capital – is the largest city of the country and the seat of the king and the Norwegian government. The city is located in the Oslo Fjord (Oslofjord) in a beautiful natural landscape. Founded in the Middle Ages – around the Eleventh century – Oslo was soon the capital of the country, but in the fourteenth century with the union with Denmark, the city became only a province center of the Danish kingdom and it was only in the early twentieth century with Norway’s independence that it returned to be Norway capital. Oslo is a city full of parks and museums, mostly modern, but with some interesting old buildings such as the Akershus Fortress (Akershus Festning). Christmas market in Oslo (Julemarked på Youngstorget). The market takes place around the Youngstorget Square. In the warm and cozy atmosphere around the floodlit skating rink there will be almost 50 exhibitors. Opening: We are waiting for the 2018 dates. Opening Hours: from 11.00 to 19.00. (Jul i Vinterland – Julemarkedet i Spikersuppa) is a christmas destination for the whole family with over 40 vendor booths. Opening: 17 November – 30 December 2018. Opening Hours: from 10.00 to 20.00. Christmas Fair at the Norwegian Museum of Cultural History (Norsk Folkemuseums tradisjonsrike julemarked). This fair is the most important event in the city during the holidays before Christmas, it takes place within this beautiful open air museum that recreates a typical Norwegian village, with its historic homes decorated in the ancient Norwegian Christmas traditions, you will find in more than 100 stalls many objects of Scandinavian. The market is accompanied by music, concerts and fun activities for children. Opening: We are waiting for the 2018 dates. Opening Hours: from 11.00 to 16.00. Christmas Designers Market (Designernes eget julemarked). This market, which takes place at the Norwegian Centre of Culture and Design in Oslo (DogA, DogA Norsk Design- og Arkitektursenter, Hausmannsgate 16), is comprised of more than 140 exhibitors from all over Scandinavia selling their products, including pillows, jewelry, lamps, bags, clothes, ceramics, glass and furniture. Opening: We are waiting for the 2018 dates. Opening Hours: Saturdays and Sundays from 10:00 to 17:00.